Franco and his family often travel to meet suppliers in Italy in search of the finest wines and ingredients and recipe inspiration. 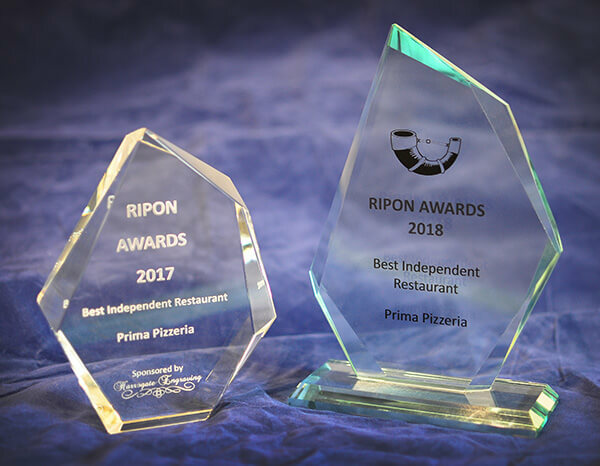 We have been serving traditional Italian food with great success since 1985 which has made us one of the most popular restaurants in the area. The combination of a cosy atmosphere and high standards of food at reasonable prices, make booking highly recommended. 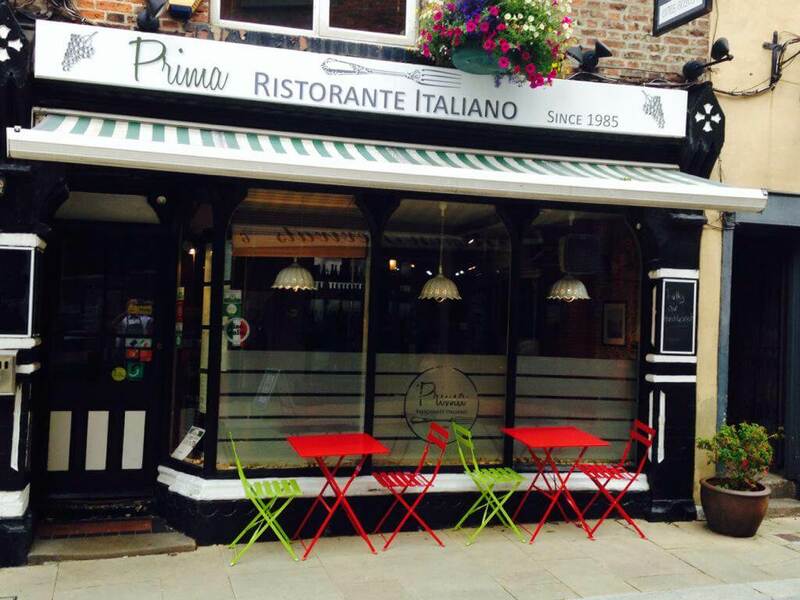 Only a two minute walk from either Ripon Market Place or the Cathedral, Prima Pizzeria is very conveniently located at 33 Kirkgate. The house “Blackboard Menu” is updated on a regular basis to accommodate for fresh seafood and seasonal game. 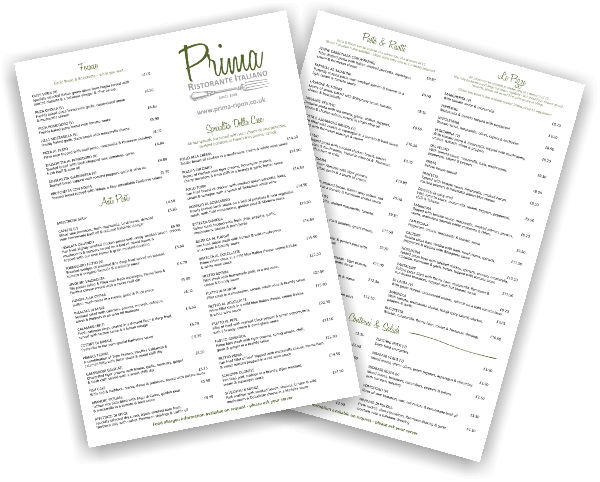 We provide an Early Bird menu from 4.30pm until 6.30pm and a children’s menu is available. OR WHY DON’T YOU MAKE USE OF OUR VERY POPULAR TAKE AWAY SERVICE?… Most of the dishes are available to carry out !!! To compliment our menu we stock a wide range of quality wines from Italy and many from around the world. Sweet lovers are not forgotten with a wide variety of traditional Italian desserts and award winning ice-creams.